This soft and cool feeling t-shirt makes a great gift for the fan of Cool T-Shirt. Our Skull T-Shirt is made from a premium quality blank tee that is 100% Cotton. 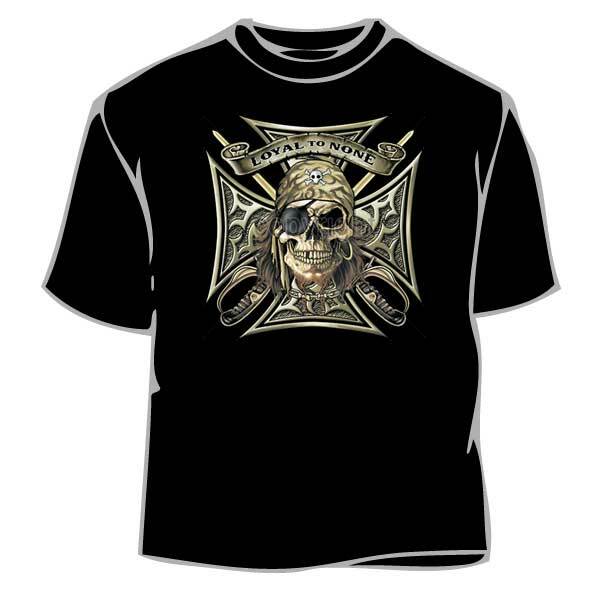 This Biker T-Shirt is incredibly comfortable and it is made to last. Our T-Shirt comes in the color of your choice from the options shown below and in sizes listed in the drop-down below. If you have any questions or suggestions regarding our Skull Cross T-Shirt or any of our other Skull T-Shirt within our T-Shirts section or the T-Shirts For Men category, feel free to send us an e-mail and include the product name and number.